NEWPORT — Hunters are gearing up for the start of Vermont’s traditionally popular 16-day rifle deer season that starts tomorrow, November 10 and ends Sunday, November 25. 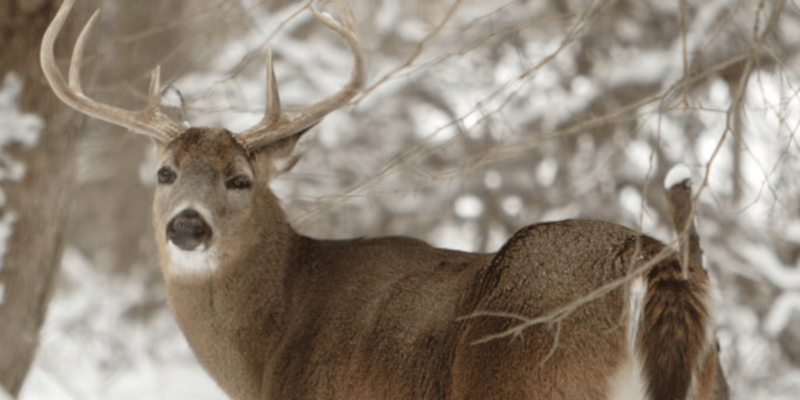 A hunter may take one buck during this season with at least one antler having two or more points one inch or longer. A point must be one inch or longer from base to tip. The main beam counts as a point, regardless of length. Spike-antlered deer, mostly yearlings, are protected during this season. “There are more deer in Vermont than there have been in recent years with the greatest numbers of deer found in the southwestern and northwestern regions of the state,” said Deer Project Leader Nick Fortin. Vermont’s regular hunting licenses, including a November rifle season buck tag and a late season bear tag (for Nov. 10-18), cost $26 for residents and $100 for nonresidents. Hunters under 18 years of age get a break at $8 for residents and $25 for nonresidents. Licenses are available on Fish & Wildlife’s website and from license agents statewide. Fish & Wildlife urges hunters to wear a fluorescent orange hat and vest to help maintain Vermont’s very good hunting season safety record.